Don't be surprised by the name, our Eco-Friendly towel is a great towel value for decorating, and we want to prove it to you with a limited time offer and sale price. We'll hold this price until July 22nd, so act now! Of course you can promote it as "Green" white towel too, that's sure to get them to be puzzled a little. June is wedding month, but get color and excitement in your wedding anytime with a RALLY Towel. Some say it isn't so, but it is. Here is a premium beach towel made in the USA and woven from American cotton. The thick body is great for all decorating methods including embroidery. 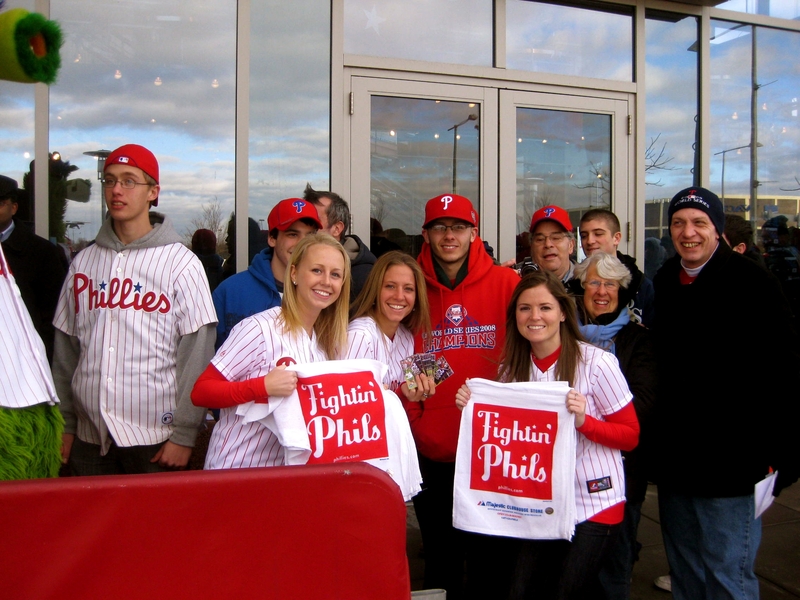 There is a great blog put out by the Phillies Ball Girls. Here's a photo from one of their trips to a local school. They always travel with rally Towels.